West coast modern living at its finest! 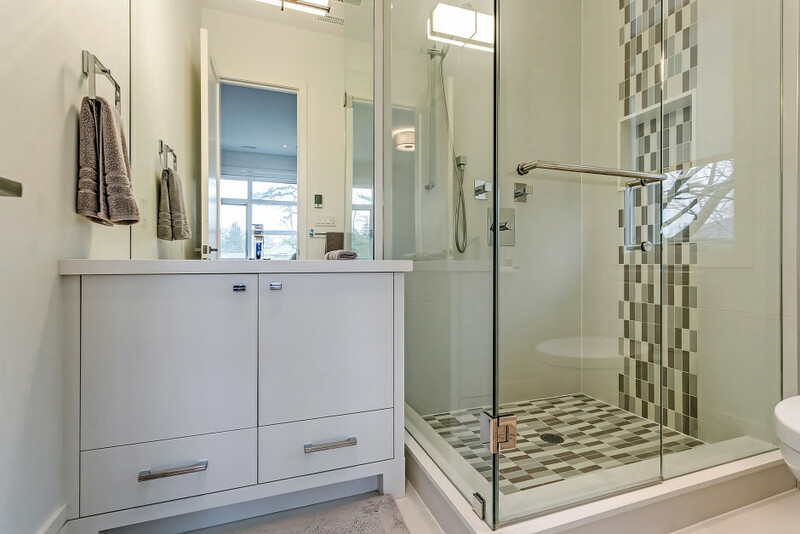 Built by Gatestone Homes in 2015 this residence creates a stylish atmosphere with the most discerning tastes in mind. With almost 7,800 square feet of living space this stunning home provides large principal rooms that flow seamlessly from one another. Oversized windows throughout the entire home light up every room with natural light while creating an architectural feature for all to enjoy. 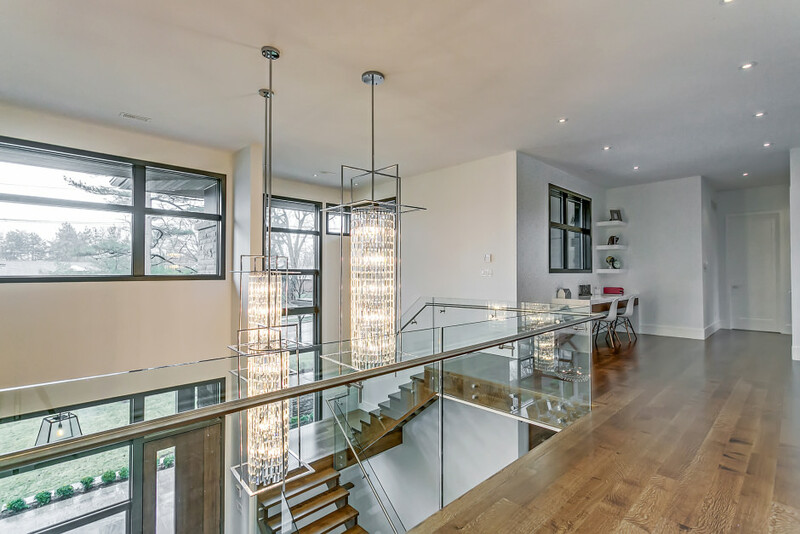 The entrance foyer provides a clear sightline through the back of the home. The double story ceiling automatically draws your eyes towards the open riser wood staircase, an architectural delight. Immediately you notice the dining room that not only has a beautiful gas fireplace but also features a stunning 200-bottle glass wine room that is both temperature and humidity controlled. Follow through the servery, passing the oversized walk-in pantry into the thoughtfully designed chef’s kitchen. An oversized island is the center focus of this room. 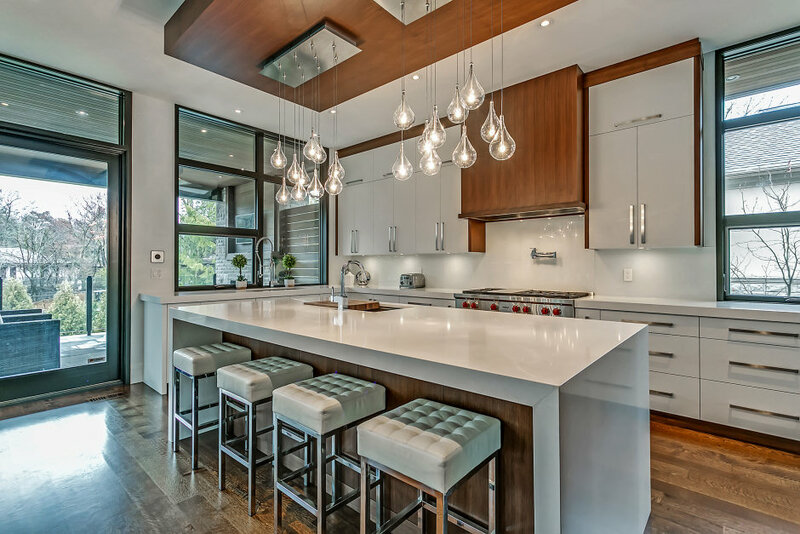 Other highlights include top of the line built-in appliances, gorgeous two-toned custom cabinetry and open shelving. The generous sized breakfast area overlooks two massive sliding glass doors that give access to the second level covered patio. This space truly brings the outdoors in with a built-in barbeque station with single prep sink, large eating area, and separate lounge area with gas fireplace and outdoor television. The oversized sized family room is a focal point of the main level with two story ceiling, large windows and beautiful built-in media cabinet and gas fireplace. The office with double sliding solid walnut doors overlooks the front yard creating a private oasis away from the main living area. Built-in file cabinets will keep you organized, while the beautiful glass shelving will allow you to display your most prized possessions. With everyday convenience in mind - the mudroom, with access from the garage, is the perfect place for your family to “drop everything”. This space has built in cabinets galore – providing endless storage. A private powder room is found here along with the laundry room. 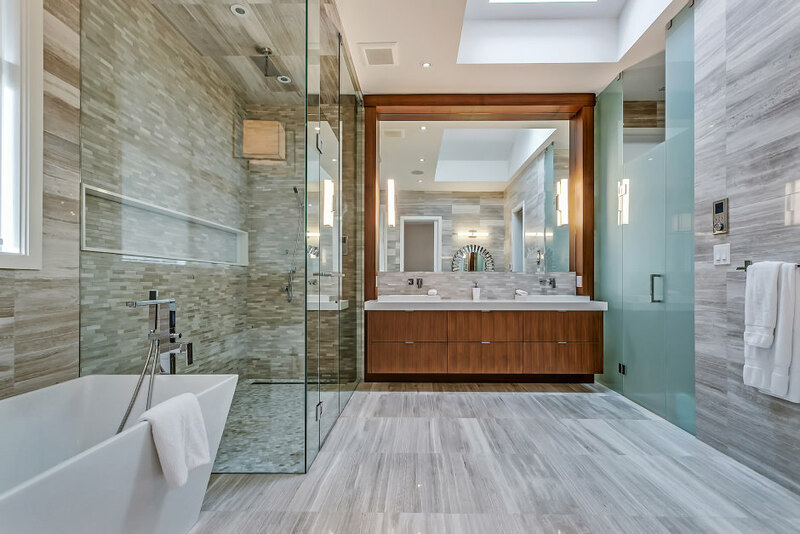 The second level of this home features a special master suite. A Built in king size bed with two end tables is a seamless part of the room. 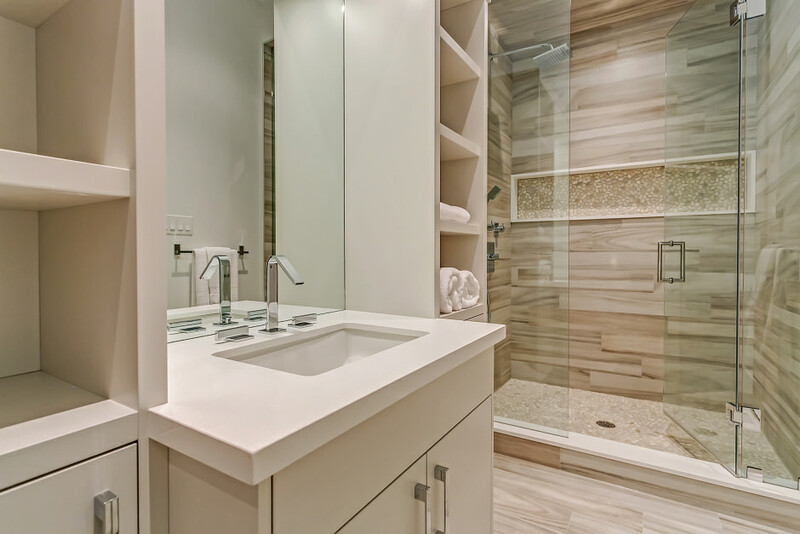 An oversized walk-in closet with detailed built-ins leads into the spa-like master ensuite. The private balcony off the master bedroom is the perfect spot to relax. The second bedroom features a walk-in closet and private ensuite. Two additional bedrooms both with walk-in closets and built-in shelving, share an oversized ensuite. The lower level of this home will not disappoint. 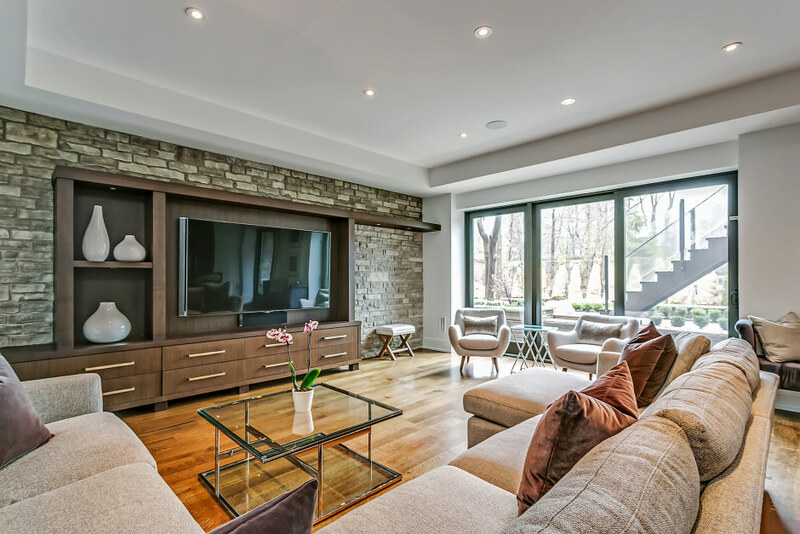 The recreation room is perfect for having friends and family over; whether enjoying the built-in media unit or hanging out at the full size bar with oversized island. A highlight of this space is the wall-to-wall windows with sliding glass doors out to the backyard. A fifth bedroom with full ensuite and walk in closet also benefits from the ability to walk out to the backyard. Enjoy the convenience of working out in your private home gym, while the kids play in the separate playroom. The backyard is truly the highlight of this home. Walk down from your second level deck to enjoy summers in your backyard pool. Fully hardscaped and landscaped leaving the perfect amount of green space. The outdoor cabana houses a 2-piece washroom and pool equipment room. The modern aspects of this home combined with traditional comfort make it the ultimate modern retreat!